This entry was posted in Fragrances, Gourmand fragrances, Perfume Review, Profumum Roma, Woody Fragrances and tagged perfume review, Profumum, Profumum Roma, Profumum Sorriso, Sorriso by Kafkaesque. Bookmark the permalink. Too bad! I love Arso and Acqua Viva from this house. This was miles away from Arso in feel, depth and body. I haven’t tried Acqua Viva, but I’ve heard lovely things about it. The Dandy’s heart sank when you spoke of disappointment only to plummet when I read the words “intensely sweetened vanilla note which is overtaken seconds later by dusty cocoa powder”. Heave (almost literally in this case had I been in your shoes) ho. Knowing your love (heh) of gourmands, 😉 I can only imagine what your reaction would be to Sorriso. Definitely NOT one for you to try when you go to Harrods to sniff the salty sea one! Profumum has been very hit or miss for me so far. I really do not like Ambra Aurea – too metallic, too rich, waaay too full-on. Vanitas was sickening, sticky boiled sweets and Battito d’Ali was an overly-sweet lemon chiffon cake. But I love the full-on lemon in Acqua Viva and somehow Confetto’s almondy sweetness works for me, as does Rosae Mundi’s musky patchouly rose. Sorriso surprised me just by the fact that it was only ‘meh’ – perhaps because they turned the volume down a bit for once. Not great, but not awful. 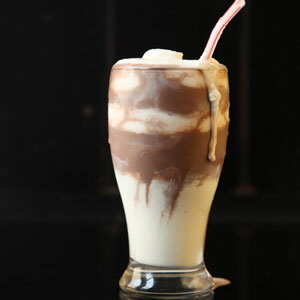 Do you generally like or, rather, LOVE gourmands? If not, then I think Profumum’s versions would be too much in general. They definitely skew quite sweet. I haven’t tried Acqua Viva, but I’ve heard very lovely things about it. Interesting about Ambra Aurea having a metallic note on your skin. I wonder why? Hmm, intriguing. 🙂 Have you tried Fiore d’Ambra? That is a MUCH more approachable, soft, light amber with also less sweetness and a touch more dryness. 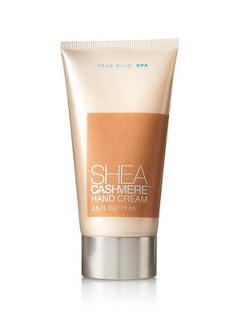 It has more of a powdery undertone as a whole, especially during the drydown. Perhaps that would work better for you? As a whole, I really like the line, even when the scents aren’t for me personally. And a number of them aren’t. But I respect them. I couldn’t respect Sorriso. It actually didn’t feel like a Profumum scent at all. 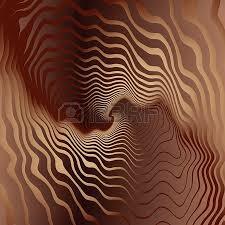 I think that, as a general matter, the line is only for people who DON’T want the volume turned down. 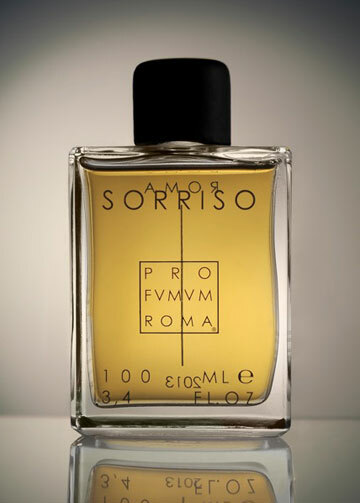 IMO, you’re paying for super-concentrated Extraits with massive density and body, so (for me at least) Sorriso was like something from another perfume house entirely, especially in terms of the cheapness of its notes. It must be said that I am not a huge gourmand fan. I like them pitched at the level of Cuir Beluga, which I seem to remember you classified as a bland beige thing 🙂 So I agree that the super-strength gourmands in Profumum’s line are not a natural fit for me. I cannot imagine being able to use up a whole 100 ml bottle! It’s a shame about this one, as the description sounded wonderful. I do remember Bain de Soleil, which I, like you, loved not for its smell, but for its advertising. What was it, SPF 2? But I felt very sophisticated smearing it on by the pool in my black-and-white OP bathing suit, which unfortunately could not be gotten wet in mixed company, as its white half was inadequately lined. As a young teen, products which were useless for their intended purpose apparently represented the height of sophistication and elegance for me. 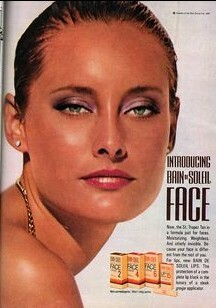 Bain de Soleil had the sexiest ads!!! Hurrah for someone else who remembers them! I loved all of them, and was utterly fascinated by their main model! Stunning, or Lizard Reptile Queen? I could never quite decide. How hilarious about you and your experience with Bain de Soleil, especially the bathing suit dilemma. Haha! Love it. You passed the earworm on to me when I read your review, so in theory you should get some relief. I’ve been hoping for a new release of theirs to come along that might overtake my estimation for, or ‘out-masterpiece’, their nonpareil Ambra Aurea, BUT no cigar ! 🙂 (Tho’ a few did come commendably close-ish.) – It seems I’ll just have to keep waiting (possibly in vain too by the looks of things). LOL. We clearly need to just avoid the subject of Dzing or iris-y suedes. What have been some of your runner-up, almost favorites from the line? I agree completely on the pricing issue, in light of the fact that there are some similar alternatives out there. There could just — JUST barely — be a case made for one or two of them at $240. But with the price hike? Err….. hm. It’s significantly harder to make that case. And you’re right, they really and truly don’t seem to care about either pricing, sizes, or making things easier on people. I imagine they have a rather “Well, let them eat cake” attitude and see themselves up there with Armani and the like. BUT…. for someone who really and truly loves the notes in question, I’m not sure even the alternatives compare. The simple reason is that almost none of the alternatives will have Profumum’s massive viscocity, depth, heaviness, and richness. At the end of the day, it’s a very personal balancing act. People will spend far more on Roja Dove’s stuff, in part because of the body and depth, and in part because of the prestige luxury factor, even when some of his fragrances aren’t really as complex as people insist. I think even if this were pitch perfect for what it is, I wouldn’t be super interested. 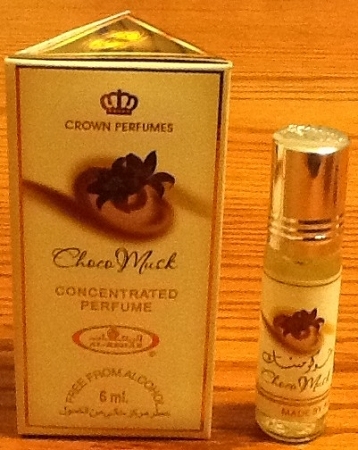 Not a big fan of chocolate notes in perfume, do not like orange/chocolate combos generally. I do love Ambre Aurea and Fiore d’Ambre though. Arso was also good, but I wasn’t as taken with it – probably because I have a few smokey scents that already do the trick for me.